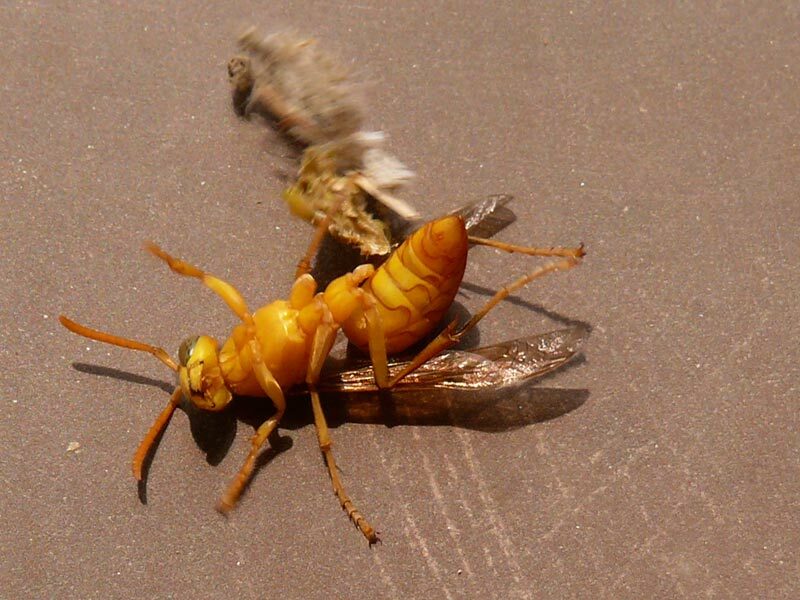 This wasp was on Mira's dress at the Fateh Burj. Her sister flicked it away. It fell on the ground and somehow got tangled in something. 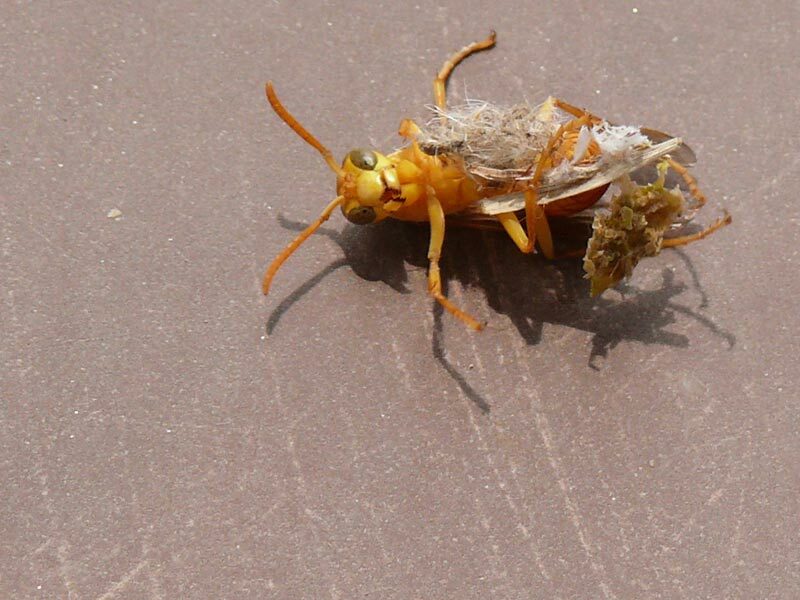 Even though its a fairly upclose shot, I can't figire out what has got ths wasp stuck. Whatever it was, proved the reason for its death.